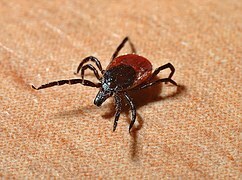 May brings warm weather and sunshine, but with warm weather comes the return of ticks! The month of May is dedicated to spreading awareness of the prevalent, yet preventable illness, Lyme disease. According to the Center for Disease Control and Prevention (CDC), approximately 30,000 cases of Lyme disease are reported in the United States, but an estimated 300,000 people are diagnosed annually. Studies show that 20-50% of the ticks on the East End of Long Island are infected with Lyme disease and 70% of all people who are diagnosed are bitten in their own yard. 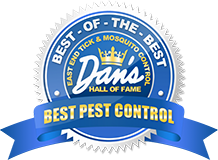 Brian Kelly, local tick expert and owner of East End Tick & Mosquito Control, has put together a list of tips for East End Long Island residents to consider when going outdoors to limit the risk of contracting a tick-related illness. Spray monthly between the months of April – October to control ticks on your property. Ticks are everywhere! Always use a repellent when going outdoors and always check yourself afterwards. Pro tip: Have someone else check your back and areas you can’t see. Put a fence around your yard to help keep deer and other tick-carrying animals out of your yard. Keep your pets confined to your landscaped lawn, never allow them to enter the woods, and use a tick repellent such as Frontline. If you travel with your pet, make sure you check them very carefully. Teach your kids about the dangers of going into the woods and uncharted territory. Get them into the routine of checking themselves after being outdoors and always check them yourselves. Buy a tick removal kit to keep it handy at all times. Learn how to properly remove a tick. Keep your grass cut short and don’t over-water your plants and shrubs! Ticks are attracted to long grass and cool damp areas. Ivy and other sorts of ground cover are tick hot spots so avoid them at all times. As part of your spring yard clean-up, eliminate tick habitats by raking and removing leaves that have blown into your yard edges and under shady vegetation. For up to 60% of early stage cases of Lyme disease, symptoms can include a bullseye-like rash but the remainder show no rash at all. Other symptoms can include chills, fever, fatigue, headache, swollen lymph nodes, and muscle and joint pain. If left untreated, Lyme can lead to serious medical complications such as arthritis, heart and nervous disorders, Bell’s Palsy, miscarriages, stillborn births, meningitis, numbness, pain, and neurological damage. If you experience any of these symptoms after finding a tick, contact a physician immediately! 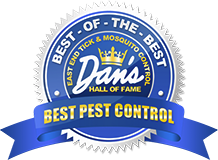 If you’re looking for a tick control company for your property, call East End Tick Control at 631-287-9700 and get a free estimate today.